NBA Baller Beats drops in on retail shelves packaged with a regulation size NBA basketball. The unique box set sets you up for playing b-ball (with an actual basketball that's tracked by Kinect) to some of today's biggest musical hits- right in your living room. Players train alongside their favorite NBA franchises, unlocking songs, difficulty levels, environment accessories and over 100 posters and Panini’s 2012 NBA Hoops trading cards that showcase the NBA players’ greatest moves. To maximize performance, players can also visit the extensive in-game tutorial where two-time NBA world champion and Emmy Award-winning TNT NBA analyst Kenny Smith dishes tips for success. Personally, I'm pretty excited about Baller Beats. The game looks like a really good time in and of itself, but it also paves the way for more interesting uses for Kinect than just the usual 'sports' mini-games. 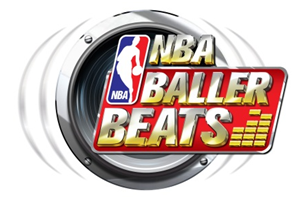 Baller Beats dunks on store shelves tomorrow, exclusively on the Xbox 360, for $59.99 USD.